My husband, Neal, and I just concluded our 11th week on the Nutrisystem program. If you want to catch up on our past weekly updates, you can find them all here. 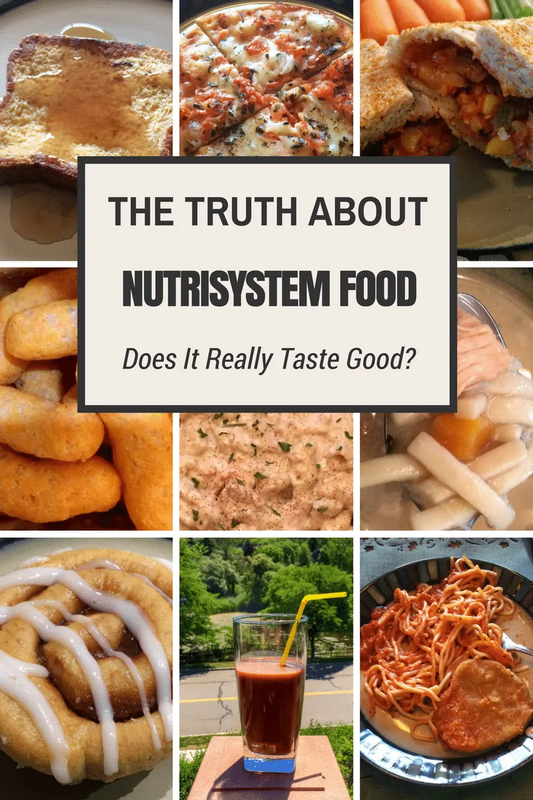 After having spent 11 weeks on the Nutrisystem Program I will tell you the truth about Nutrisystem Food. I am not exaggerating when I tell you that I love Nutrisystem meals and snacks. Seriously, they taste amazing. I look forward to each and every meal and snack throughout my day. Even the shakes are delish! Now, this is not to say that I fall in love with everything on the Nutrisystem menu. Sure there have been items that I tried that I didn't enjoy. That is life. Sometimes you try things you don't like. Everyone has their tastes and preferences when it comes to food. The beauty of the Uniquely Yours plan is that you get to hand pick which items you would like to order. Just like at a restaurant, you look at the menu and make your selections. My husband and I have similar tastes when it comes to food, and since we like to eat meals together we order the same things. Even though during the week we eat breakfast and lunch separately, we still like eating the same meals (we are weird like that). If you are thinking about starting the Nutrisystem program I would recommend it wholeheartedly. Plain and simply, it works. It makes meal-planning for weight loss so much easier since your food is shipped right to your front door. I would also recommend opting for the Uniquely Yours Nutrisystem Plan. With the Uniquely Yours plan you get to customize your menu from all 150+ Nutrisystem Menu items, including both frozen and non-frozen items. If you inspect the menu items on our list of favorites you will find that most of our faves are frozen items. -2.8 pounds this week combined! Neal lost another pound this week, bringing his total weight loss in the past 11 weeks to over 25 pounds! With 1 week to go, any more weight he losses now is just the icing on the cake (or should I say the icing on the Nutrisystem cupcake?)! My 1.8 pound loss pushed me to just .2 pounds away from the goal that I set for 12 weeks on the Nutrisystem Program. As long as I lose at least .2 pounds this week I will make the goal I set out for myself at the start of the program! I totally got this! I will be back with another update next week to let you know how we weighed in and if I was able to meet my 12 week goal. Week 12, here we come! I see Marie Osmond on 4th for Nutrisystem. I wondered if the food had any taste to it. I would love to get Nutrisystem D for me and Nutrisystem for my daughter. We both need to lose weight. Thanks for the review. So much food to eat! Nutrisystem meals look delicious. I’ve been really thinking about trying it, so it’s nice to follow your journey.